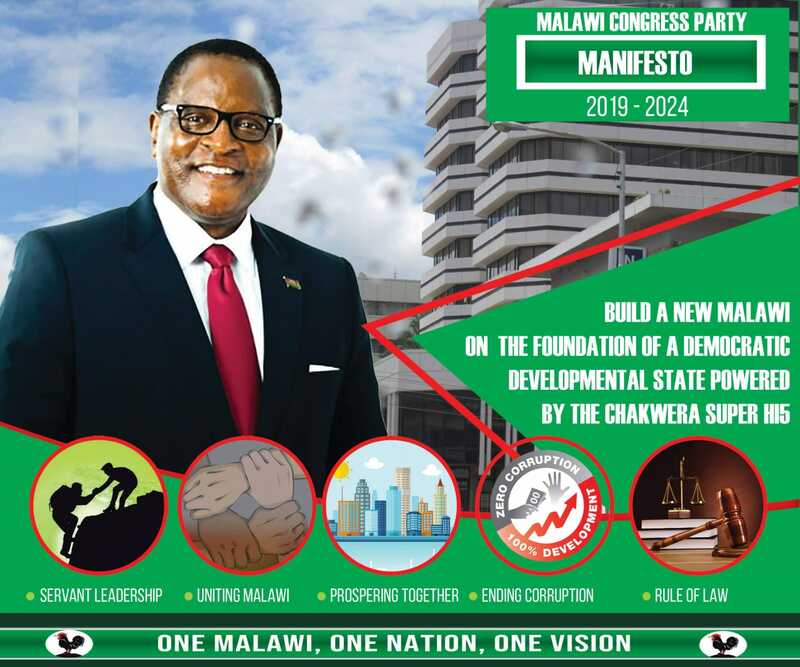 The church in Malawi has a critical role to play in order that Malawi has peaceful and credible tripartite elections on May 21, 2019, Local Government and Rural Development Minister, Kondwani Nankhumwa has said. Nankhumwa, who is also Vice President in the governing Democratic Progressive Party (DPP) responsible for the Southern Region, said this when he joined Christians for a Sunday prayer service at Mount Moriah Global Ministries in Chirimba, Blantyre on Sunday, December 2, 2019. “The Church has a crucial role to play in the upcoming elections. The church must actively educate their congregants on the importance of voting. Christians must vote in order to put the right people in government,” said Nankhumwa. Nankhumwa used to congregate at Mount Moriah when the Church had just been established over 10 years ago. “We used to congregate at Blantyre Girls Primary School every Sunday. I am happy that Mount Moriah has now grown into a huge church and I am proud to be part of its history. I am pleased to inform you that I have written some literature on the history of this church,” Nankhumwa told journalists after the Sunday church service. Nakhumwa, who is also Leader of Government Business in Malawi Parliament, noted that the church in Malawi played a formidable role in speeding up the end of one-party dictatorship and bringing about multiparty democracy in 1994. “In the past, the church in Africa played a crucial role to end colonialism. The church was quite instrumental in the stoppage of slavery and apartheid in Africa. The modern church has even played a greater role, especially in the mounting secular challenges of the 21st century, most significantly, the increasing attempt by science and technology to swap the place of faith and the role of God in the lives of the human being,” he said. The minister said he had brought to Mount Moriah Global Ministries a message from President Professor Peter Mutharika of his sincere gratitude for the role the church plays in complementing government’s efforts to eradicate people’s social and economic challenges. “President Mutharika wishes to encourage the church in the country to encourage their faithful to vote in 2019 in order to elect suitable representatives. It is the responsibility of the church to guide the electorate,” he said. The service on Sunday was themed “Bringing the Nation Closer to God”. According to the ‘overseer’ of Mount Moriah Global Ministries, Prophet Steven Mumba, members of the Church had been fasting for 21 days “to bring the nation closer to God”. Minister Nankhumwa donated MK1.3 million to the church “to settle some of the bills”. On Saturday, Nankhumwa met ‘borehole’ committees at Namalimwe Primary School in Blantyre where he presented K8 million to the committees as a monthly special fund to ensure that 20 boreholes around Ndirande are well maintained and that people do not pay for water. Nankhumwa recently met these committees in Ndirande to appreciate some of the major challenges confronting the people of Ndirande as regards the availability of water and to possibly find a way forward over the selling of borehole water. The committees informed the minister that they sell the water in order to meet maintenance costs for the boreholes. The minister thus pledged that on December 1, 2019, he would provide K400,000 every month for each borehole for six (6) months to meet maintenance costs for the boreholes and that people fetch water from the boreholes for free. “Today, I have been delegated by His Excellency Professor Mutharika to present this MK8 million for that purpose. This is to confirm to you that President Mutharika and the DPP do not pay lip service but we want to genuinely improve people’s welfare in this country. This is a pilot project, which shall run for the next six months and if it proves viable, we shall continue with slight modifications,” said the minister. MPs for Blantyre City Central (Ndirande) and Blantyre Malabada, Themba Mkandawire and Aaron Sangala, respectively, and Group Village Headman Somanje Makata hailed the President and DPP government “for living up the expectations of the people of Ndirande”.